How can you create an outside area that you can use all-year-round, not just the days that are weather-appropriate? One of the solutions is to install café blinds. Today, café blinds are far more aesthetically pleasing and easy to use than café blinds of 10 or more years ago. Plus, there are many options to choose from, including different colours, patterns and designs, as well zip-up, roll-up, track-guided and even motorised. It’s no wonder that café blinds are now more popular than ever. 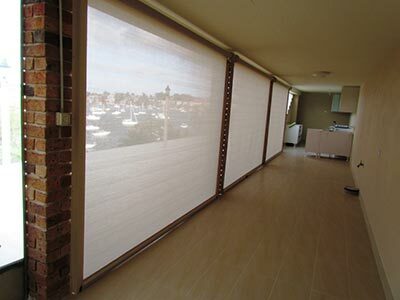 Richard Narborough, from Outside Concepts Sutherland Shire in NSW, recently installed café blinds at this Dolans Bay property. 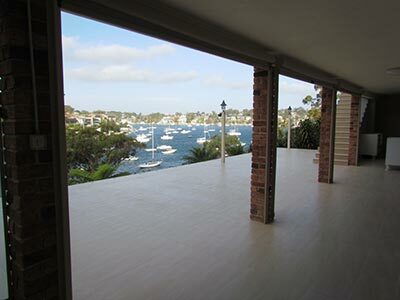 The homeowners loved their outdoor area and particularly the views, but it was very exposed to the sun and the inclement weather. In addition, the homeowners were planning to install an outdoor kitchen and wanted to make sure it would be protected from the elements. The perfect solution for them was café blinds. Not only do the blinds protect them from the sun, wind and rain, they also allow the homeowners to continue to enjoy their view. Plus, with Ziptrak guides included, the homeowners can easily raise and lower their blinds without the use of ropes, zips, straps or buckles.